© 1993-'00 Computer Technology Insitute, R&D Unit "Applied Information Systems"
E-Slate presented at the Annual Meeting of the American Educational Research Association (AERA), New Orleans, 2002. E-Slate presented at the 9th EuroLogo conference, Lintz, Austria. E-Slate's key features in an interactive video presentation available in English and Greek versions (requires Quicktime). E-Slate 1.3 is available from the Download area (as of 17.5.01). E-Slate was presented at at BETT 2001, London. 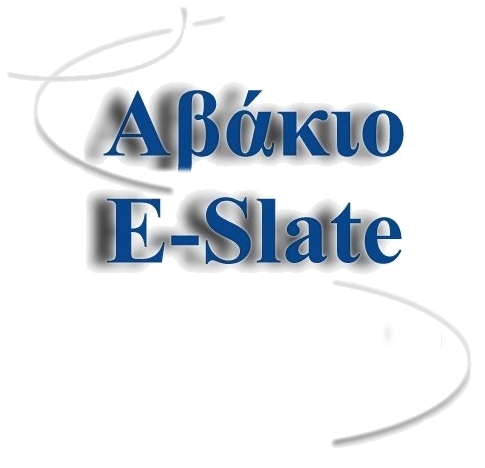 Visit the E-Slate Forum to share experiences, ask questions, exchange Microworlds. Experiences from E-Slate's development appear in IEEE Computer article of the September '99 special issue on Web Based Learning (reprint is available here).